The start of the Bristow/Bristoe Campaign marks an important time in the Eighty-Eighth's history. On October 7-8, 1863 some of the returning prisoners of war captured at the Battle of Gettysburg are returned to the regiment. These troops will be among some of the last soldiers paroled as Federal authorities no longer mutually agreed to exchange prisoners. Soldiers from the Eighty-Eighth who were captured in later battles spent the remainder of the war in rebel prisons such as Andersonville, Georgia or Salisbury, North Carolina suffering in horrendous conditions. 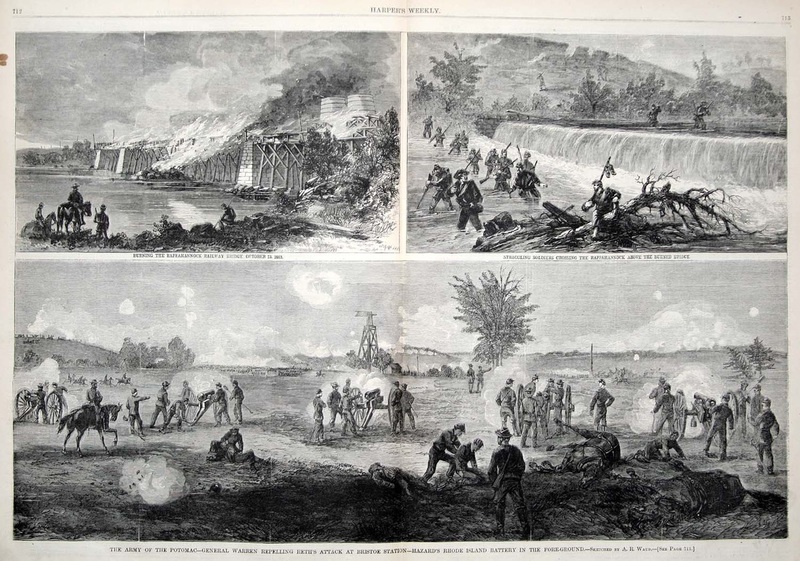 Out of 76,000 Union troops and 45,000 Confederate troops engaged, there were 4,815 total casualties including 1,973 Confederate prisoners at Rappahannock Station. 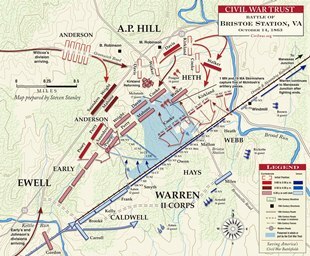 Lee's Confederate forces failed to acheive their primary objective of bringing the Union forces into a decisive battle or preventing Union reenforcements to the western theater.